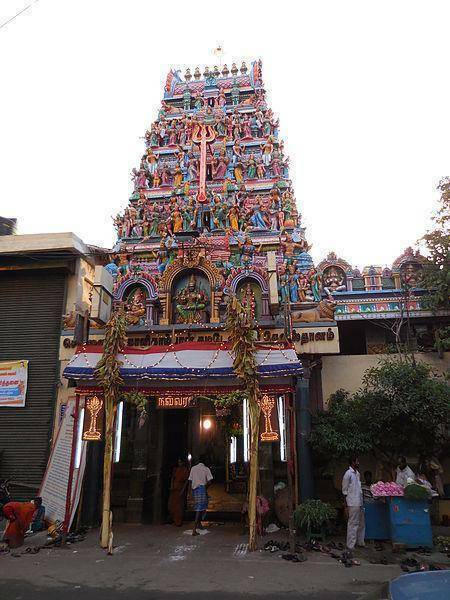 Kalikambal temple is located in prominent George Town area of North Chennai. The temple is dedicated to Goddess Parvati who was termed as Kalikambal. The original temple which was then situated nearby the shores. Temple has the fierce form of Goddess in Sanctum Sanctorum, however, the Idol of Goddess in present temple is in the form of calmness (Shanta Swaroopam).The Kalikambal Temple which dates back to 16th century was again relocated to current spot around 1678. The King Shivaji of Maratha Kingdom has worshipped the Goddess in this temple it seems. Chandi Homam is organized on every full moon day and on all Navarathri Days to bring prosperous to all mankind. The temple has a range of devotee’s right from Celebrities to normal people.